You can click here to download the jogscotland walking programme. For people who are not able, or inclined, to go straight into a jogging group, we also have a walking programme which can be used by jog leaders. 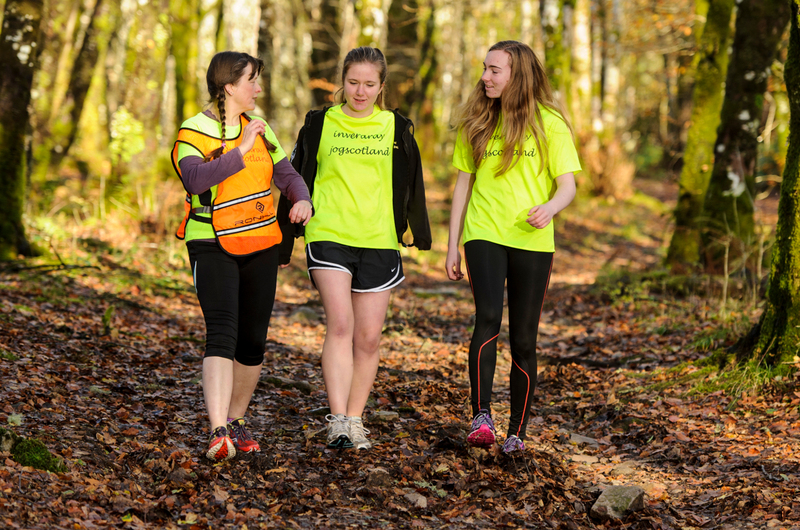 We sometimes hear that jog leaders have come across people who are interested in getting active, but are not ready to start the jogscotland beginners’ programme. For some people, jogging for 30 seconds at a time – the first step in our beginners’ programme – is difficult. They may not be fit enough; they may lack confidence; they may have specific health problems that make jogging difficult or impossible; or they may just prefer walking to running.This gentle, progressive 10-week programme can help people prepare for our beginners’ jogging classes. It can also be used by people who don’t want to jog, but are looking to start walking for exercise in a friendly, supportive group. Following the programme can help people build up to meet the government guidelines for 150 minutes of physical activity each week. The walking programme is structured very similarly to our jogging programmes, alternating periods of brisk walking with periods of walking at a gentler, recovery pace. The first session is designed to have participants do a total of 25 minutes of activity, including warm up and mobility exercises; short bursts of brisk walking followed by recovery walking; and then a cool down. By week ten, walkers will complete a 40-minute brisk walking session, and will be well-placed to start jogscotland beginners’ jogging class if they wish to. You can download a copy of the programme on the top of this page. You should be able to use it with the skills you learned on your jog leader course without any further training, but if you would like any help or guidance, please don’t hesitate to contact us. Games and drills such as Indian file, relays or paarlauf can be adapted for walking pace, and work just as well with varied walking speeds as they do with jogging. If you feel it is appropriate and the walkers will benefit, you can add in short bursts of jogging (15-20 seconds at a time) as the programme progresses through the weeks. This will allow your walkers to get a positive feel for jogging, and boost their confidence, so that at the end of the programme, they can progress naturally onto beginners’ jogging. As with all other jogscotland programmes, the printed programme is intended as a guide. If your members want to progress at a faster or slower pace, if they’d rather have less-structured sessions, or if they want to continue with sessions of brisk walking after the end of the 10 week programme, you can use your expertise and judgement as a leader to create suitable sessions. Don’t forget – If you are setting up a new walking session, please add it to the Group Finder so that people can find you. Just go to the Add a group page of the website if it is a completely new group, or the Add a session page if you’re adding a walking session to an existing group.